Is it just me or is ‘omnibus’ just a cool word that sounds super technical and imposing, despite being a synonym for ‘box set’? At any rate, regardless of our opinion of the word ‘omnibus’, I’m releasing one. 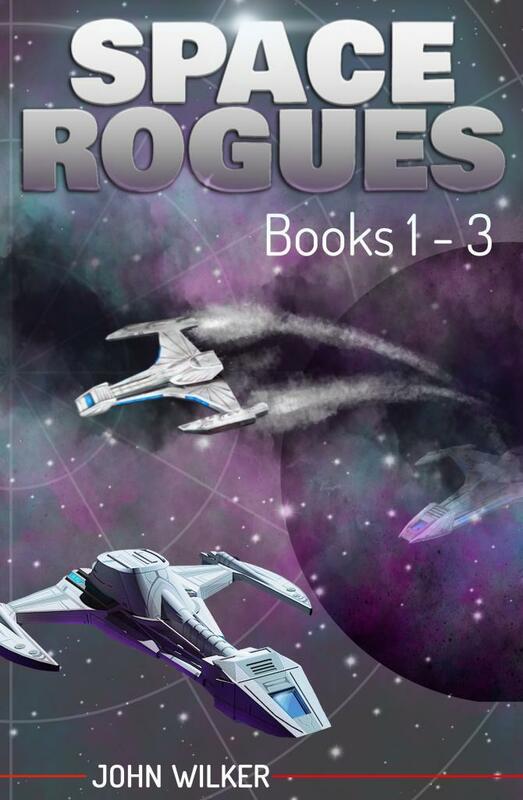 With Space Rogues 4 in beta readers’ hands, I’m working on a little side(ish) project, an omnibus of Space Rogues books 1 through 3. As a fun bonus, it’ll include ‘Merry Garthflak, Wil‘ the short story set shortly after Book 1. The other fun thing with this is that (at least right now) I’m playing with cover ideas. I like using all three iterations of the Ghost on the cover, showing it’s evolution as the books have progressed. It’s either going to be this, or just images of the existing book covers, which seems boring. Seriously though, it just seems to be the thing to do. Once you’ve passed a certain threshold, for most authors it’s three books, for a few it’s six, you bundle the first few together. Packaging books 1-3 together is a great way for fans to grab several books (assuming they read book 1 and fell in love with the series) a bit cheaper than buying each on its own. These editions are also a way for folks to take a chance on an author for a not too big investment. Omnibus editions are also a great way to run sales and promotions, without changing the price of your main books in the catalog. What better way to gain new fans than by offering an omnibus far cheaper than buying the individual books themselves? That way the individual books aren’t impacted. If nothing else, it’ll be one more source of potential income, which never hurts.